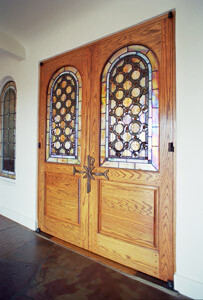 I am a custom woodworker with three decades of experience. 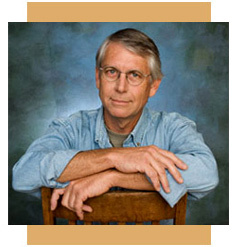 My all-round competence and skill has steadily been built over the years from working on wooden boats to church interiors, as well as being influenced by working in demographically different areas of the country: Santa Barbara, California; Rockport, Maine; and currently in my woodworking shop in Eugene, Oregon. My enthusiasm, insight and integrity, high standards and attention to detail are attributes that serve my clients well. I am very particular about producing good work—at the same time, my positive can-do attitude and gracious manner, along with my sense of humor and relaxed style, will bring a positive viewpoint to every type of project—small or large. I often say that “working with your hands,” wood craftsmanship is a dying art. However, I take pleasure and pride in bringing it back to life! A job need not be complex—I enjoy every kind of finish carpentry. From perfecting the woodwork on boats, to furniture and doors, houses and churches, my creativity, variety of skills and expertise draw on my eclectic, “best of the best,” to bring diversity and quality craftsmanship to every job. Whether it’s original work, the refurbishing of aging spaces that need fresh and new, or a project that requires standard uniformity and replicas, my commitment is to add architectural depth and warmth—my wood pieces and woodwork will enhance the existing character of a space. I know that wood, in whatever capacity it’s chosen to function, is solid and can be counted on. It should be pleasing to the eye, feel good to the touch, and add enduring worth and pleasure. The nature of wood instills timeless beauty and ongoing value and purpose—as an art, woodworking is a process, (and ongoing quest) of creating the useful, unique and appreciated. Making a client’s dreams into reality is one of my greatest rewards.